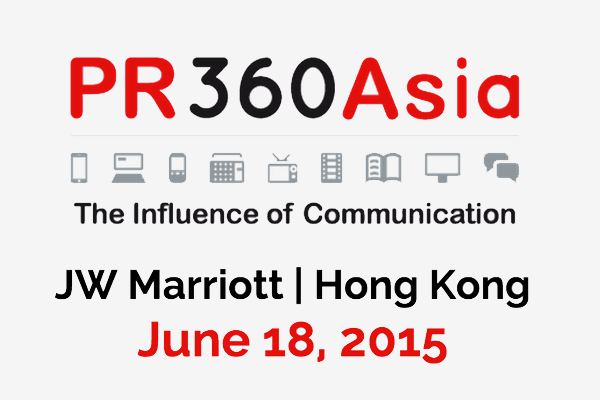 Act now to attend the PR360Asia Conference, slated for 17 and 18 June in Hong Kong, at the special early-bird rate. The PR360Asia Conference, taking place 18 June at the JW Marriot, Hong Kong meets the industry’s need for an event which accurately assesses and analyses the real issues affecting the PR community in Asia Pacific. This year the conference program focuses on hot topics including the evolving shape of the industry, award-winning campaigns, leveraging disruption, the changing face of PR and technology and data & measurement. Early-bird rates are available for both the interactive workshops on 17 June and the conference on 18 June. The PRWeek Awards Asia gala dinner takes place following the conference, also at the JW Marriott.